A Mighty Girl's recommendations for books, toys, and activities to inspire a lifelong love of writing and storytelling in kids of all ages. If there’s one thing anyone who spends time around young kids knows, it’s that they are born storytellers! Children’s vivid imaginations and lack of preconceptions make for wild, fascinating, unexpected stories, and during their toddler and preschool years, we encourage them to explore and elaborate on their inventions. And most kids are thrilled when they start learning to write — finally, they have the opportunity to make their vision permanent, and share their ideas whenever they please. But as kids move through elementary school and beyond, it’s all too easy for them to lose their love of writing and storytelling. The scrutiny of teachers and peers can make kids doubt their ability to create a “good” story, and too often writing becomes a chore, rather than a pleasure. 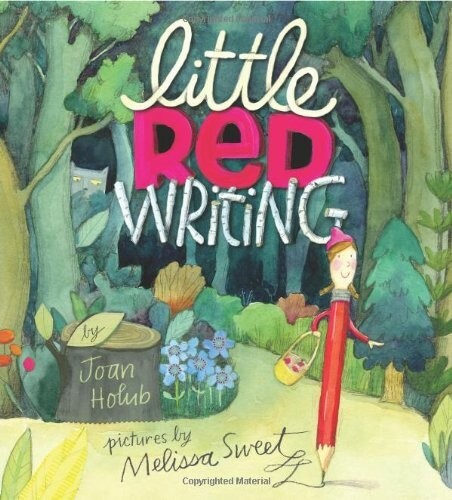 Books don’t just have to be tools for reading development; they can also encourage writing! These books about the elements of stories, and the experience of being an author, will set the stage for a love of writing. When Penelope spends the night with her Aunt Isabel, the best part is the bedtime story — because instead of reading a book, they make up an exciting story about the adventures of Lady Penelope! What goes into a really good story? Only the best ingredients — a heroine, a hero, excitement, a little romance, and even a villain or two. Mix them up to taste, change them around until they're just right, and you've got a story any child will love! This book is a fun read aloud that provides a lively yarn, elaborate illustrations, and a charming introduction to fiction — all in one. Wordplay can sometimes seem truly magical! One morning, while eating alphabet cereal, Anna realizes that sometimes, letters can be rearranged to form multiple words. 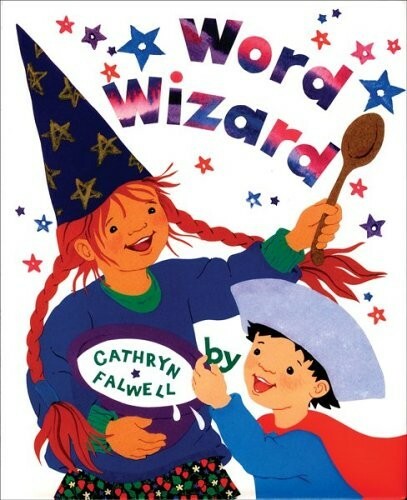 This gets her started on an imaginary adventure, where she uses her word wizardry to help a little boy named Zack find his way home. Turning ocean into a canoe, finding a horse at the shore... Anna's magic overcome every obstacle with ease! This fun book encourages kids to play with anagrams — and also shows how simple word games can spark big creativity. The little storyteller in this book has plenty of energy, a thirst for adventure, and boundless energy! But when she tells her stories, she's in such a rush that she occasionally leaves a few things out... Fortunately, the fun illustrations captures the details of her terribly short stories, which provided unexpected and surprising storylines in the midst of a seemingly simple tale. Her final tale? 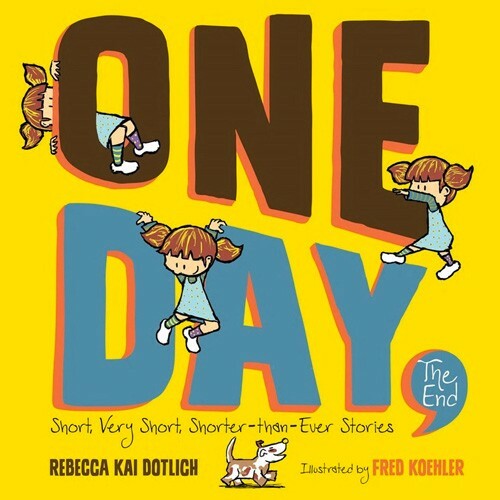 "One day... I wanted to write a book." Kids will giggle at the antics in the pictures, but they'll also be inspired to play with their own shorter-than-ever stories. Sadie has a big imagination, and nothing sparks it more than the remarkable stories in her beloved books! In fact, Sadie loves stories most of all, because unlike in real life, in a story you can build anything and go anywhere — and always find your way home. 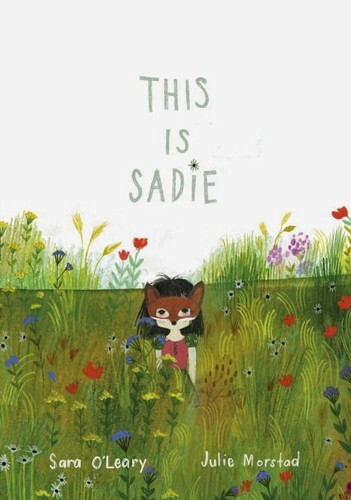 In this charming picture book, kids will watch Sadie show how the power of creativity and a knack for storytelling can make even the ordinary moments extraordinary. Younger kids will enjoy the vivid illustrations, while older kids can start spotting references to Alice's Adventures in Wonderland, The Jungle Book, and many more classic stories. Henrietta the chicken loves to read, but after reading a book about creative writing at her local library, she's struck with inspiration: writing her own book would be EGGSciting! With a little (not always welcome) help, she finishes her first work and sends it off to a publisher...only to be soundly rejected. Undaunted, Henrietta opts to self-publish, but the reviews are harsh, and she finds it hard to be proud of her accomplishment. It's not until she goes back to her library and discovers that the children have voted her book best of the year that she realizes that every book has its audience! This funny story will particularly appeal to kids who might be discouraged by criticism. Most picture books are collaborations between an author and an illustrator — but any child who’s tried to tell a story with a friend has probably run into some trouble! This book explores what might happen if those same problems happened to the professionals. 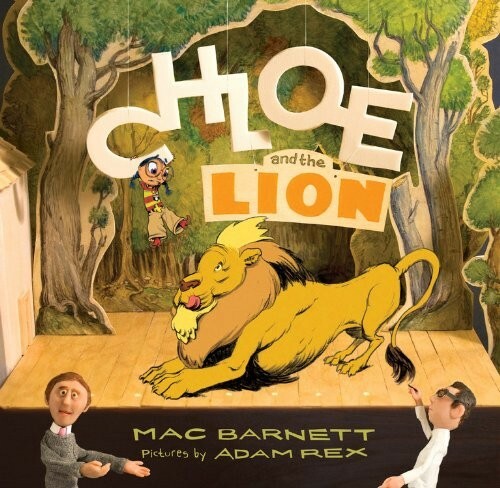 Mac and Adam are having a little trouble agreeing how the story should go: Mac wants Chloe to meet a lion; Adam thinks it would be cooler if it were a dragon; and Chloe is stuck in between. Finally, Chloe has to step in to clear up the story and show author and illustrator how much better the result is when they cooperate. 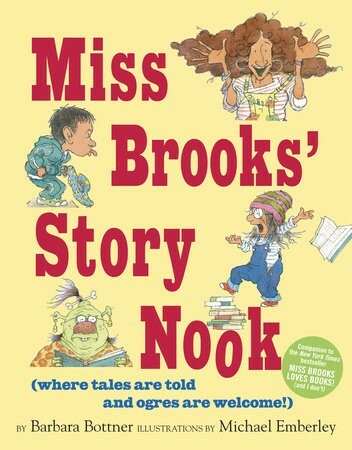 Missy loves her librarian, Miss Brooks — especially her before-school story time. But to get to Story Nook, she has to pass Billy Toomey's house, and Billy always tries to steal her hat and jeers, "I'm going to get you!" Then one rainy (and hatless) day, Miss Brooks changes story hour to storytelling hour. She teaches the kids about characters and plot and action — and then encourages them to make up their own tales. That's when Missy has a brainstorm: maybe her story can help her deal with her real-life bully. Funny, creative, and true to life, this book celebrates the power of storytelling to help us take control of our own lives' stories. It’s hard for kids to believe sometimes that the authors they read were once kids just like them! 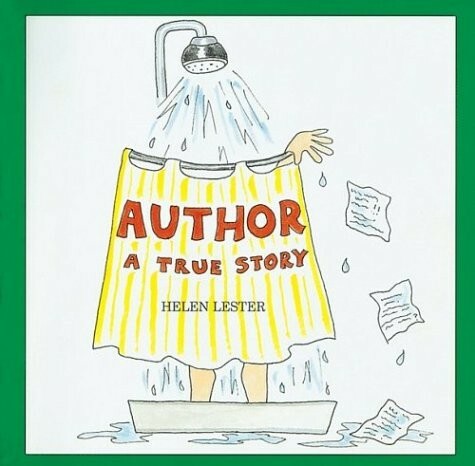 Helen Lester tells her own story in this book, starting with her experiences as a child and leading up to her day-to-day life as an author. 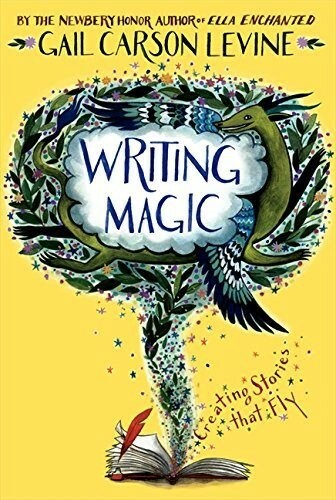 In addition to explaining how she got from imaginative child to professional writer, she also shares some of the tips and tricks about writing that she’s picked up along the way. Any budding author or eager storyteller will be fascinated to hear what life is REALLY like when you write for a living. Discouraged Eva is trying to complete a school assignment: write what she knows. But how can she do that when nothing exciting happens on her street? Her neighbors share bits of wisdom, from including details to stretching the truth. But it's the suggestion to "make something happen" that Eva takes to heart — and soon a crumbled pastry becomes the catalyst for a truly crazy chain of funny accidents, surprise meetings, and unexpected conversations she can dutifully record. This charming story in a vibrant urban setting will encourage would-be authors to look at their "boring" surroundings in a new light. When the words fall out of a little girl's book, she's perplexed by pages full of nothing but pictures — until she hears a whisper that tells her to imagine her own words. Tentatively at first, but emboldened by the voice's assurance that there are no rules, the girl decides to give it a try and discovers the power of imagination. 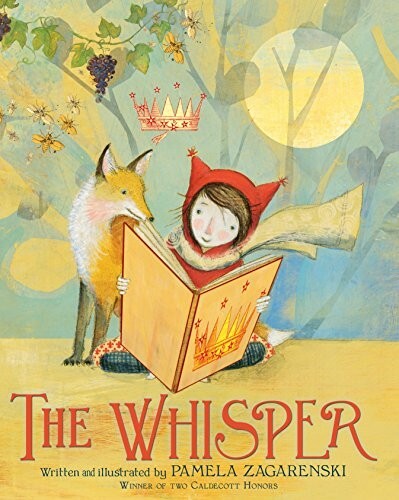 Pamela Zagarenski, a two-time Caldecott Honor artist, makes an impressive debut as an author in this contemplative and beautifully-illustrated tale about giving yourself permission to be a storyteller. You can encourage your children to expand on this idea by showing them some wordless picture books that allow kids to tell the story. One of the hardest things to do as an author is tell your story without worrying about what other people think. 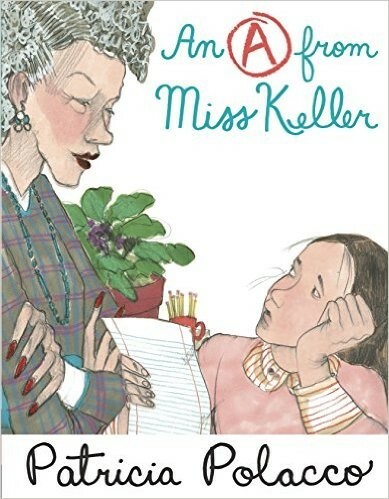 In this book, Trisha is nervous about being selected for Miss Keller's special writing class: "Killer Keller" is infamous for being demanding of her students, and rumor says she's never given out an A. Trisha tries, but it seems there's no pleasing Miss Keller. 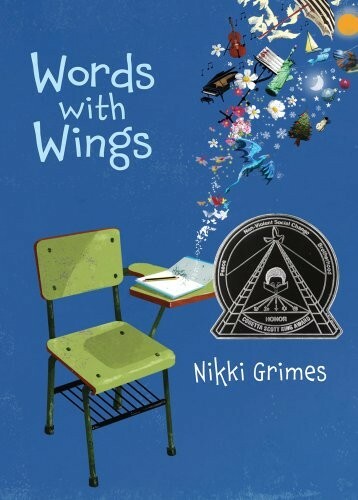 Then, when Trisha is touched by a tragedy, she pours her heart out into her writing — giving up thoughts about her grade — and receives rare, high praise from Miss Keller: "you've given your words wings." 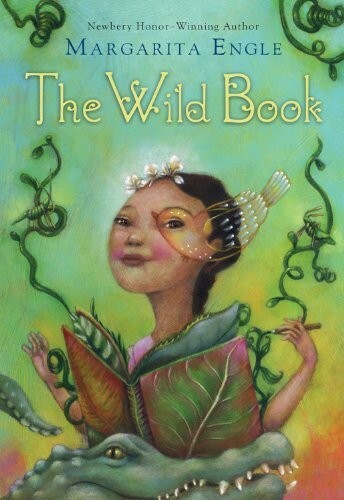 This autobiographical story from beloved author Patricia Polacco will speak to any writer who wants their own story to take flight. This little red pencil is writing a story for school — she’ll be the heroine, saving the principal from peril at the teeth of the Wolf 3000 pencil sharpener. Along the way, though, she’ll have to face — and master — everything from description to punctuation, verbs to conjunctions. When the dust settles, Red has saved the day AND created a great story! 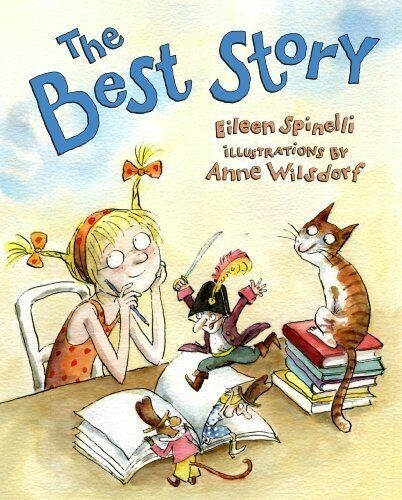 This book makes a great prompt for getting kids started on telling their own stories — and provides a concrete way to explain the elements of style that take a story from good to great. It can be hard for kids to understand that different authors have different voices — and different readers have different preferences. The narrator of this story is desperate to win her library’s writing contest. So she has to write the BEST story. But what’s best? Her brother says action, her dad says humor, her aunt says emotion — but the three mixed together are just ridiculous. Fortunately, her family also agrees on the most important thing: the real best story is the one you loved to write. 12-year-old Ana Rosa Hèrnandez loves to write — but in the Dominican Republic, only the president can write books, and writing can be dangerous unless the government approves of what you've written. However, when the government plans to evict everyone in her village to build a tourist resort, her whole community stands up against them... and Ana Rosa writes, not just to capture everything that has happened in her life — from joy to tragedy — but also find her own voice that might be able to change the world. Lyrical and heartwrenching, this book serves as a reminder that the pen has its own power. Kids also have to learn how hurtful words can be if they’re used without care. 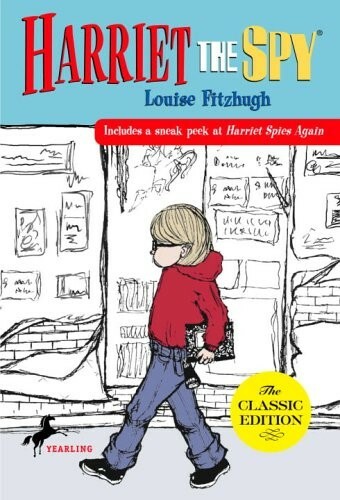 In this classic novel, Harriet’s life gets turned upside down when her classmates and friends read her her “spy notebook,” which is full of observations about neighbors, friends, and family — many of them brutally unkind. 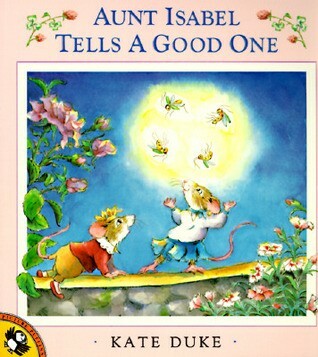 Harriet, who is already struggling with losing her beloved nanny Ole Golly and the lack of attention she gets from her parents, doesn’t know how she can make things right. 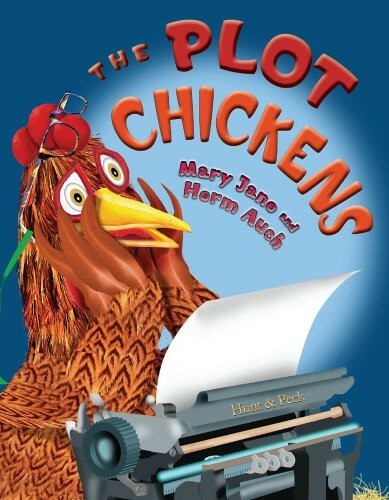 Fortunately, a few words of wisdom from Ole Golly and a new position as editor of the school newspaper show Harriet how to turn her writing talents to better use. To escape her parents' arguments — and later the difficult emotions she feels about their separation and her move to a new school — Gabby has retreated into daydreams. In the new worlds of her imagination, anything can happen, and it can all be wonderful. But when her daydreams start intruding on her schoolwork, she thinks she'll have to give up the joys of playing with words in her head. Fortunately, a teacher at her new school knows just how to direct Gabby: her vivid imagination and her love of words are the perfect ingredients for a successful author. This novel in verse shows how writing can provide an outlet for the emotional struggles that we all face. Words have an amazing power to bring positive change -- both for individuals and families. Fefa is diagnosed as “word blind” — dyslexic — by her 1920s Cuban doctor, and told she’ll never learn to read. Her mother has other ideas, and gives Fefa a blank book, telling her to think of it like an empty garden bed. Slowly at first, then faster, Fefa sprinkles words across its pages, growing more confident every day. And when crisis strikes, Fefa’s developing talents will be the family’s salvation. 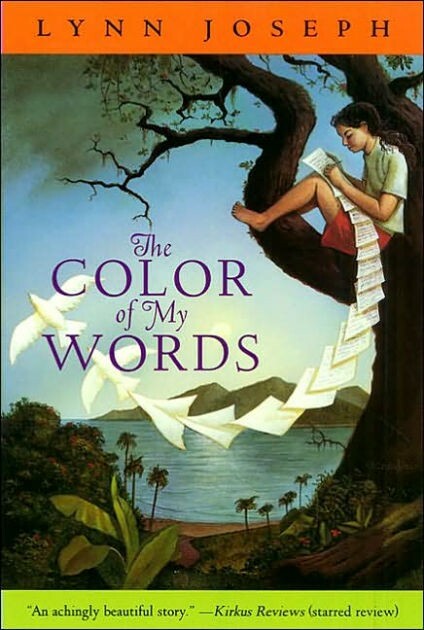 This novel in verse not only shows the impact reading and writing can have, but also illustrates that even the greatest challenges to a budding author can be overcome. 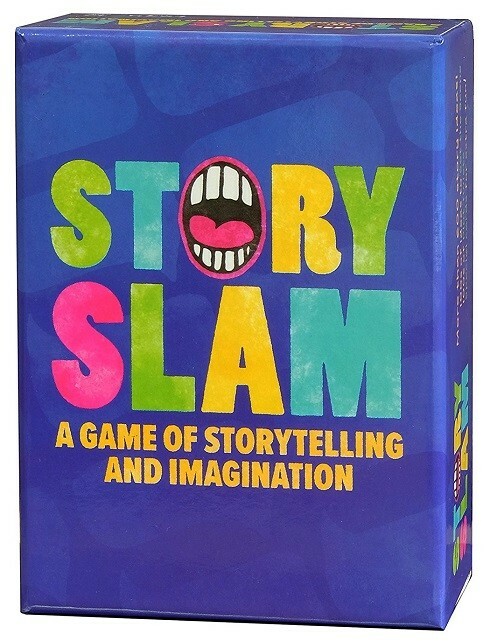 There’s no better way to get kids storytelling than with a good game! These toys and games aren’t just fun; they’re great story prompts and a terrific way to keep the fun in creative writing. Educational toy maker eeBoo's Tell Me A Story series is a great way to encourage creative storytelling. 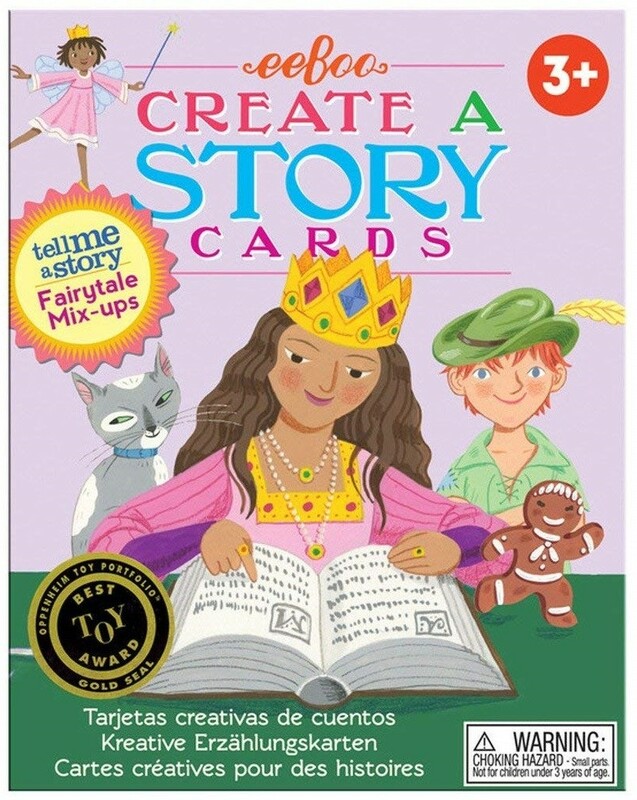 Each themed card deck set includes pictures that kids can mix and match to create their own stories. This Fairytale Mix-Up deck includes classic fairy tale elements like a castle, a magic potion, and a fire-breathing dragon. 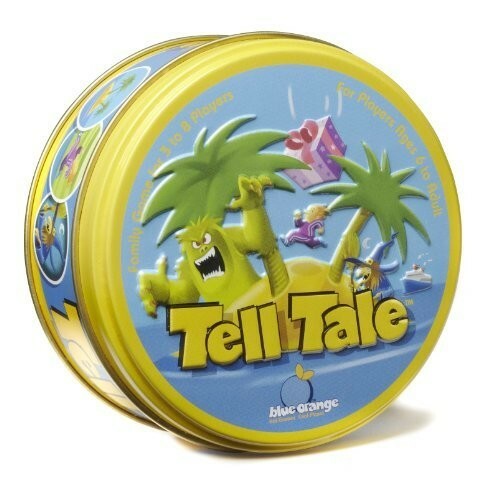 Other Tell Me A Story sets include Little Robot’s Mission, Animal Village, and Mystery in the Forest. Why should adults be the only ones to have fun with a Magnetic Poetry set? Kids can use these tiles to experiment with wordplay on any magnetic surface. The kit includes over 360 magnetic words and fragments that kids can play with to create simple sentences or their own poetry. The words included are specially selected by kids, parents, and teachers to be both simple and popular with young wordsmiths. Plus, it all comes in a reusable metal tin for easy transport, so kids can create anywhere! 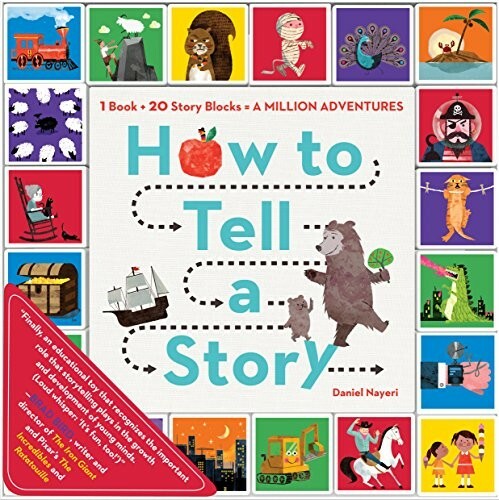 This book and blocks set combines the surprise and whimsy of Mad Libs with the compelling fun of storytelling cubes! The full-color, 144-page book is a guide to the principles of creative storytelling, covering essential elements like conflict, characters, motivation, dialogue, theme, and, of course, the climax. At various points in the book, you'll be prompted to roll the cubes, which are color-coded to associate with different parts of speech, to fill in spaces in story prompts. Before long, you'll be sharing stories of the pirate who just wanted to dance or a mummy who wanted to race cars. Perfect for using alone or in a group, there really are a million adventures in this set! Kids love books that fit perfectly in the palm of their hand — just the right size for them — and with this kit from Faber and Castell, they can make their own! 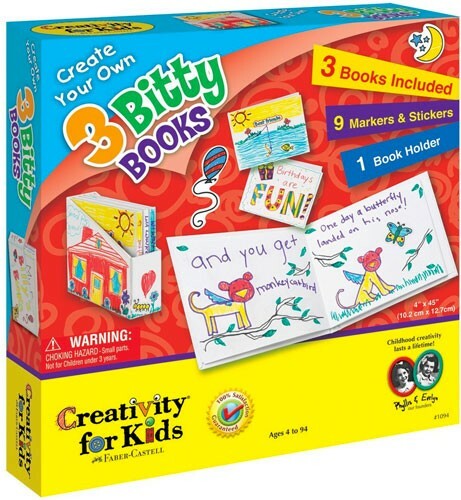 Three 12-page, hardcover Bitty Books are ready for your Mighty Girl's own story, which she can write and illustrate with the included mini markers, bookplates, and color-in stickers. As a final touch, the set includes a book holder she can decorate to hold her three stories! The kit is small enough for easy storage or to bring along while you travel for on-the-road inspiration. Most kids love pop-up books, and this kit from Faber and Castell will let them make two of their own! 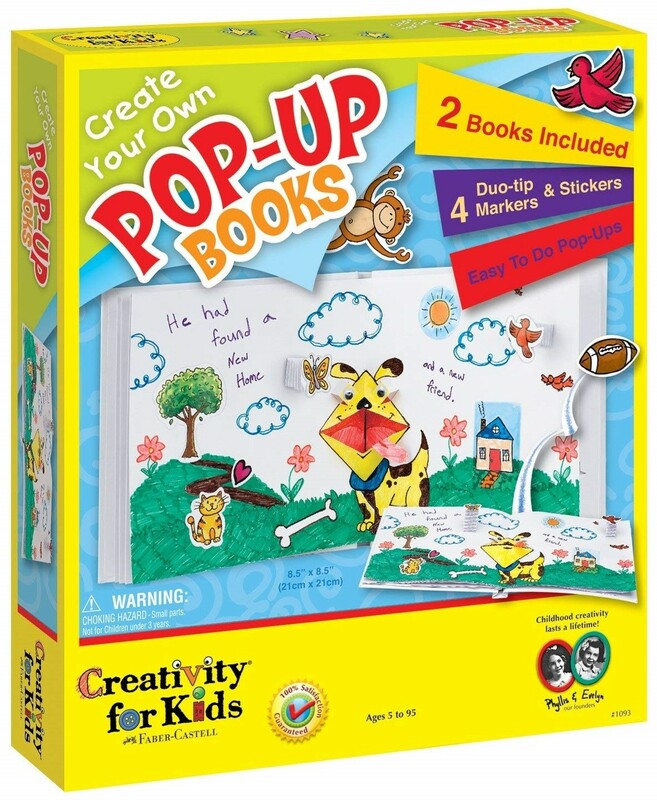 The set comes with two hardcover books and instructions to create your pop-ups, plus stickers, markers, and some great story starter ideas. Budding storytellers will enjoy experimenting with how pop-ups can expand and improve their stories. 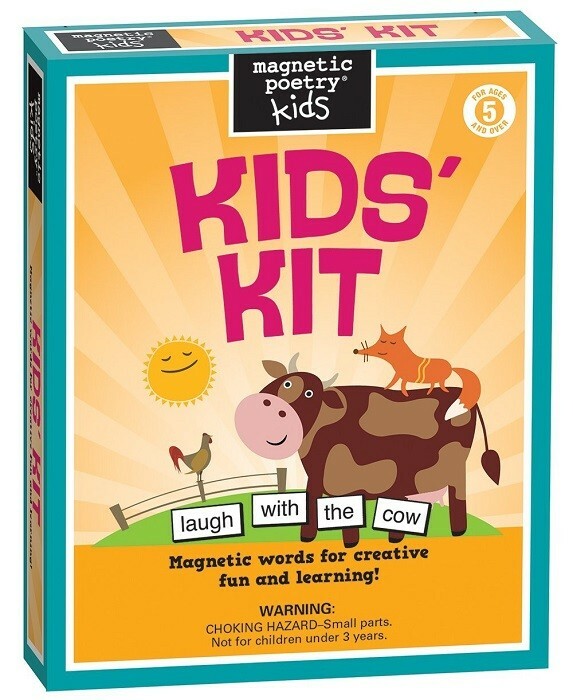 Magnetic Poetry Kids sets its sights on prose storytelling with this fun kit! 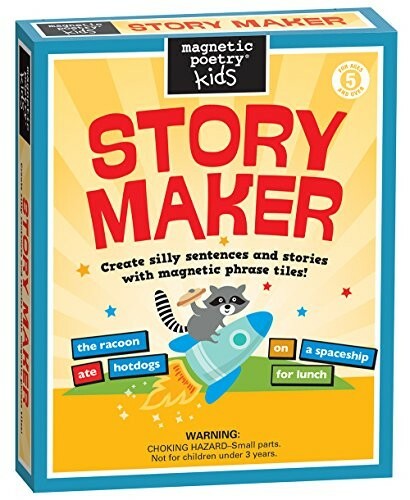 The Magnetic Poetry Kids Story Maker is a colorful collection of over 150 word and phrase magnets that makes creating a story fun and easy. Blue tiles are nouns, red are verbs, yellow tiles are prepositional phrases and the green are other stuff; combine the color-coded tiles into serious and silly stories. Then, use the colors of the tiles to explore grammar and composition concepts that kids can apply to other writing too. Get your creative juices flowing with the 360 cards in this box full of story prompts! Draw a handful of cards, and use your imagination to combine the elements into a story — one you can write, draw, sing, or express in any way you choose. How does the "driver of an ice cream truck" end up in a story with a "person full of questions"? Only you decide! It's a great way for an individual or group to improvise a story, but it can also get you thinking when you just can't decide what to write about. 20 blank cards are included so you can work in your own ideas. You can take storytelling fun on the go with this game from Blue Orange! Inside this pocket-sized tin are 120 cards featuring a variety of images of settings, characters, and objects. Pick one of the four game variations — or invent your own! — to come up with clever, crazy, and creative tales. You can play alone or with up to 8 players for plenty of storytelling action. Fans of fairy tales can also get Tell Tale: Fairy Tales for a once upon a time twist on the regular game. For open-ended imaginative story prompts, check out these clever cubes! Each box contains nine cubes that feature simple images of items, actions, and ideas that you use to generate your story. They can be used alone or in a group, and they make a great icebreaker game or party game. And some authors — children, teens, and adults — use them as story inspiration! 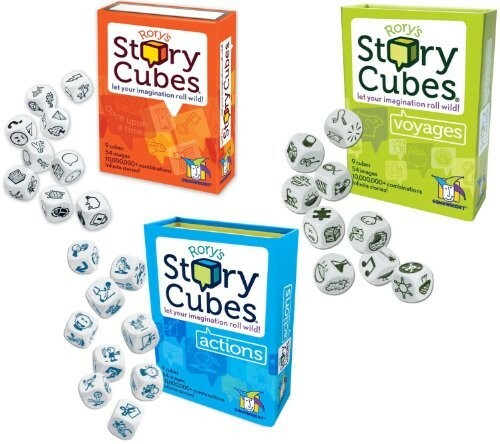 The complete set includes the original Rory's Story Cubes, plus two additional sets, Actions and Voyages, which can be used separately or combined to create truly epic tales. For large groups or classroom settings, consider the giant-sized Rory's Story Cubes MAX. Sharpen your description skills with this strategic game from Asmodee! 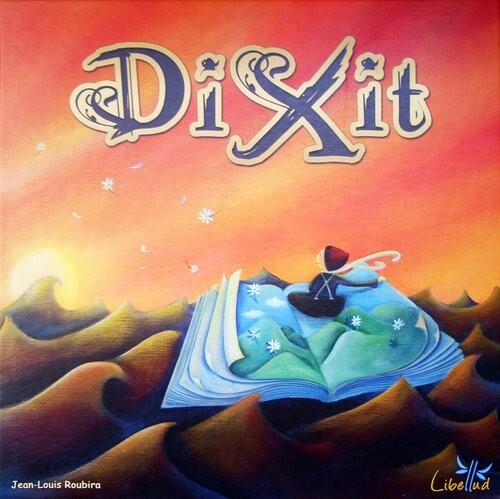 In Dixit, a player gives a brief description of one of the artful illustrations from the cards in their hand. The other players lay down the cards they think match the description: correct guesses get points for both you and the guesser, but if everyone is right — or everyone's wrong — you get no points at all. Players must be canny — make your description too easy or too difficult, and you'll actually end up behind. This unique game provides a playful way to experiment with description. Older kids are ready for more sophisticated wordplay! 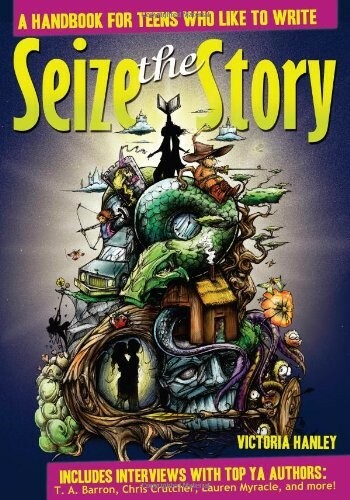 This book encourages tweens to experiment with story exercises, play with zany prompts, learn about unexpected and descriptive words, and otherwise let their imaginations run wild. 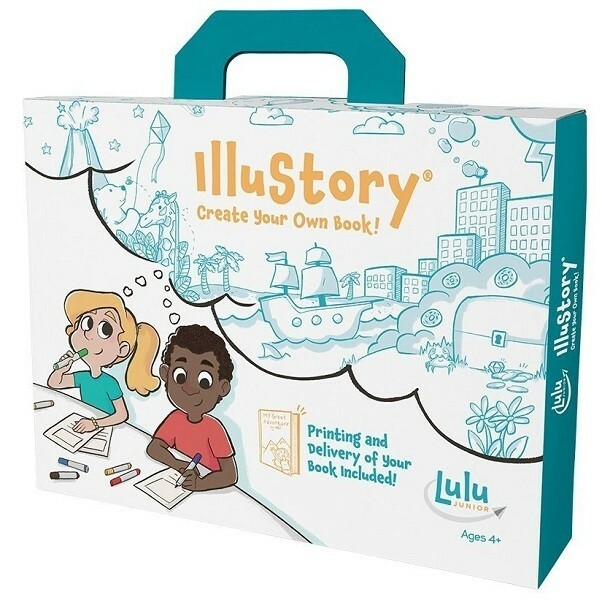 This activity book even includes words of wisdom and encouragement from authors like Avi, Lemony Snicket, and Patricia Polacco. Whether she dreams of being a professional author or just enjoys writing for herself, she’ll have a great time with this book. Experiment with solo or group storytelling with this game from Loquato. Inside the box are hundreds of "Set the Scene" suggestions for establishing a background for the story and "Plot Twists" to move your story along. You might even end up with a surprise card that really gets the story flipped upside down! Flexible play options allow players to take turns telling chapters of a collaborative story to telling stories of their own, and the cards are evocative but don't lock you into a particular interpretation. 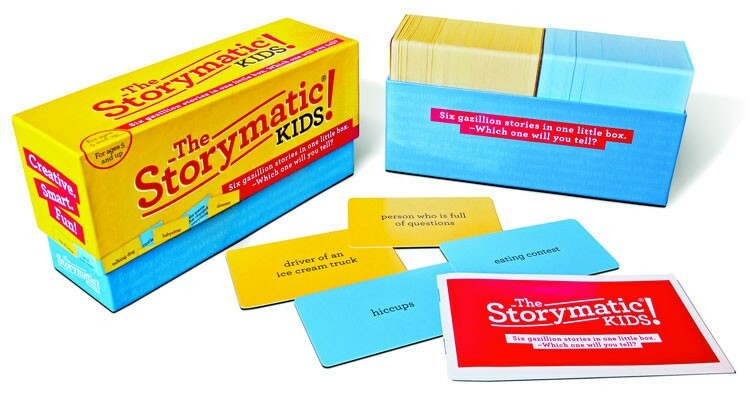 For tweens, teens, and adults, this game promises endless storytelling fun. 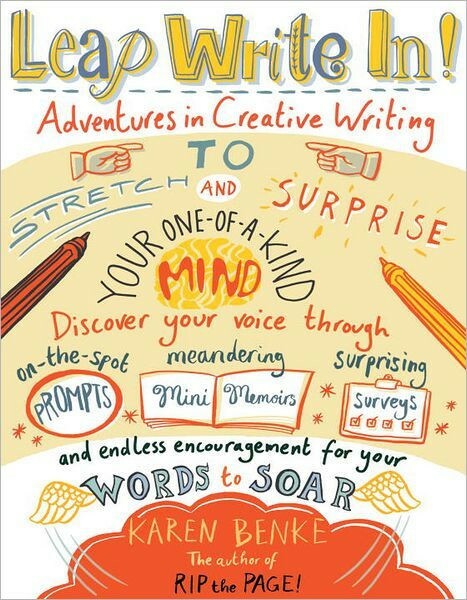 Explore all the wacky, confusing, brave, soul-stirring wonderings and wanderings of your mind with the creative, thought-provoking prompts in this book! 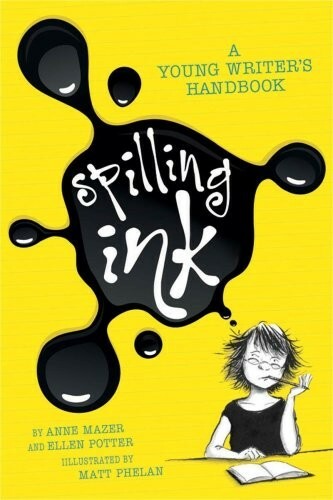 Using exercises like On-the-Spot Drops that offer quick "free-fall" prompts on different themes, Mini Memoirs to unlock personal narrative, and Untie-Your-Mind Word Lists to jump-start stalled imaginations, tweens and teens will feel encouraged to express themselves on paper — whether or not they ever share those writings. All that's required is to relax, reset, and leap write in! If your tween or teen is loving writing, she’s ready to start reading about how to perfect her craft! These three books for tweens and teens give advice from authors on how to improve your writing, polish your stories, deal with writer’s block, and even take the first steps towards publication. 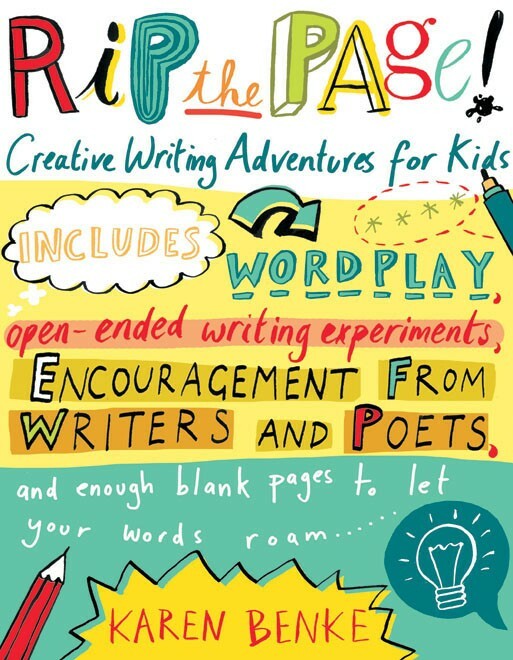 The youngest budding authors will love this guide which provides advice for getting your great story idea down on paper! 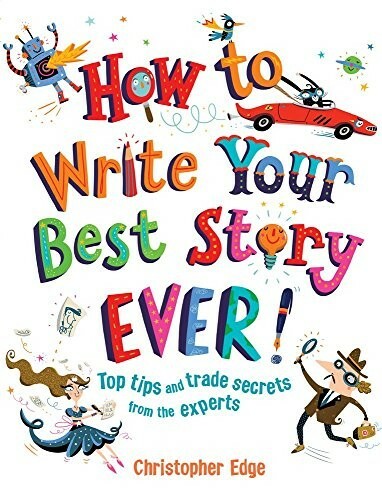 From coming up with great Story Sparks and developing interesting characters, to thinking up a conclusive ending and a title that's just right, this book has plenty of advice that's accessible to kids as young as 7. Individual chapters provide genre- and story-specific advice, so that when she gets inspired to write a mystery, a script, or even a mash-up, she'll know exactly what rules to follow — and what conventions are worth breaking to come up with something that's perfectly her. Gail Carson Levine is the author of multiple Mighty Girl books, including Ella Enchanted and The Two Princesses of Bamarre. Her book about storywriting provides advice for tweens about the elements of writing and story, as well as tips for what to do when you get stuck. She provides advice for how to seek publication if you’re interested, but also reminds her readers that lots of people write for their own eyes only — after all, the important thing is that you love what you write. Anne Mazer and Ellen Potter were inspired to write this book after receiving letters from fans asking for writing advice and tips. Their conversational style includes personal anecdotes and “I Dare You” writing exercises, all with a great common sense approach. Mazer and Potter emphasize creativity and freedom, but still provide the reminder that breaking the rules only produces good results if you already understand how the rule works. Overall, their light, humorous approach will remind young authors that writing may be work, but it’s also fun! Victoria Hanley is an award-winning young adult author who wants to help young adults take their stories to the next level. By clearly laying out all the elements of a great story — and illustrating each with examples taken from stories by other young adult writers — Hanley shows how to take the outline of your story and pack it with thrilling action, great (and realistic) dialogue, and interesting plot detail. The end of the book features letters of advice and encouragement from many accomplished authors. Their words will have young writers dreaming about where her words could take her. Whether your Mighty Girl wants to see her name in print or just loves to tell a good yarn, these books and toys will encourage her to let her imagination go. After all, you never know where a good story will come from! For more books (both fiction and non-fiction) about authors and books, visit our Writing section. For stories of the lives of influential authors and poets, visit our Writer / Poet section of Biography. For a selection of toys to encourage a young writer, including blank journals she can fill with her own stories, please see our Writing / Journaling section. For toys that encourage reading and writing skills, check out our Reading / Literacy toys. Wordless picture books are a great way to prompt reluctant storytellers; for a selection of our favorites, visit our blog A Picture Is Worth A Thousand Words: Mighty Girl Wordless Picture Books. For parenting books promoting reading and writing, visit our Literacy / Book Clubs parenting books.